In a sign that Chinese Communist Party head Hu Jintao and Premier Wen Jiabao are willing to inflame the Chinese people’s long-suppressed hopes for political reform, dozens of Chinese newspapers have recently run articles commemorating former Chinese leader Hu Yaobang, Wen’s mentor and the epitome of a reformist cadre. Hu Yaobang’s death on April 15, 1989, and the commemoration of it, was the main fuse for the massive outpouring of protests that were violently suppressed in Beijing on June 4 that year. His name has always been associated with the Tiananmen Square massacre, and thus has been mostly ignored or suppressed in official media. The occasion for the recent news is China’s Qingming festival, usually falling on April 4 or 5, a time when Chinese pay tribute to their deceased family members, including visiting and cleaning their graves. An article in China News Service, the Communist Party’s Chinese-language mouthpiece outside China, celebrated the man. 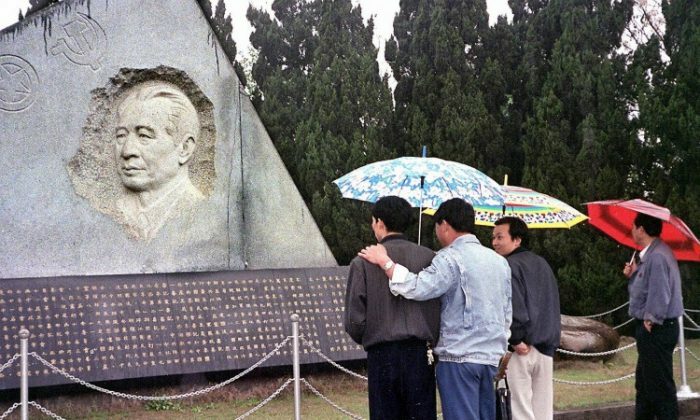 Titled “Hu Yaobang’s Tomb During Qingming Festival: He is long dead but masses remember him,” the article appeared in other official Chinese media outlets and was forwarded widely on major news portals. Hu was responsible for politically rehabilitating hundreds of thousands of people who had been persecuted or given class labels by Mao, and he energetically sought political and economic reforms before being ousted for “laxness” in fighting against “bourgeois” elements in 1987. Qingming, also known as the grave sweeping festival, has serious political connotations in China. The April 5 movement of 1976, where hundreds of thousands gathered in Tiananmen Square mourning Zhou Enlai and attacking the Gang of Four, and the June 4 democracy protests, were both connected with the traditional Chinese celebration. 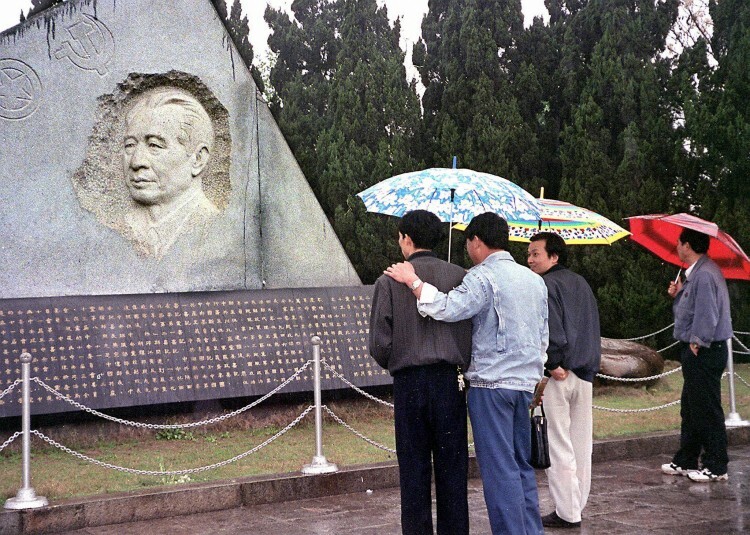 The article says that near to the 23rd anniversary of Hu’s death, over 80 CCP leaders and 200 provincial and ministerial-level cadres have paid respects at his tomb. “This large-scale commemoration activity is a way for Hu Jintao and Wen Jiabao to strike out at Bo Xilai’s Cultural Revolution-style politics,” said Zhang Tianliang, a commentator on Chinese politics, in an interview. Zhang said that Zhou Yongkang, the security czar and supporter of ousted Chongqing Party chief Bo Xilai, will also take notice. Seen through the prism of the current political struggle, Hu Yaobang is a paragon of the reformist camp. He was also a mentor to Wen Jiabao, who seeks to emulate the late leader. The high-profile coverage brings to greater prominence these reformist themes—but whether it will manifest in concrete actions, like freedom of the press, the ceasing of religious persecutions, and the dismantling of labor camps, has yet to be seen, Zhang said. “Hu and Wen’s priorities are to gain the confidence of the international community, and put pressure on the hard-line elements in the Chinese Communist Party,” says Wen Zhao, a current affairs commentator for the New York-based NTD Television. “They want to make sure that hard-liners such as Bo and Zhou Yongkang don’t act rashly,” he said. With reporting by Xue Fei and research by Ariel Tian. Click this tag or www.ept.ms/ccp-crisis to read about the most recent developments in the ongoing power struggle within the Chinese communist regime. Intra-CCP politics are a challenge to make sense of, even for veteran China watchers. Here we attempt to provide readers with the necessary context to understand the situation. Get the RSS feed. Get the Timeline of Events. Who are the Major Players?